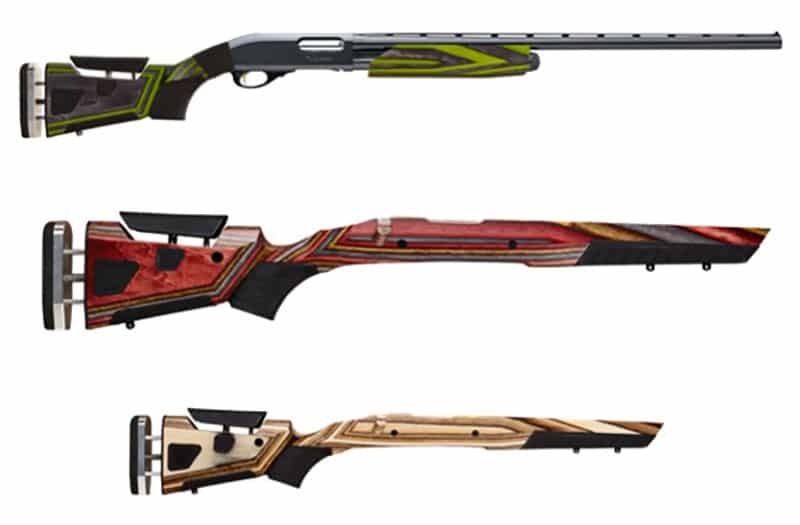 Boyds Gunstocks has just announced their new At-One gunstock for shotguns! The At-One was originally introduced in January 2017 for rifles, and was massively popular. Designed to be modular and completely adjustable, the At-One line of gunstocks allows for quick adjustability so that the gun will fit anyone. The At-One gunstock is now available in the Remington 870 12-gauge and the Mossberg 500 12-gauge, bringing better fit to shotgunners everywhere. Other gauges in these models should be available in late 2018. There are 11 different laminate colors to choose from. The At-One is modular and fully adjustable. The length of pull adjusts from 12 ½” to 14” and the cheek rest adjusts upward to 9/16”of an inch. Making adjustments is a snap with the “Bring-It” push-button adjustment technology. This push-button technology is strong and powerful, yet easy to use and completely reliable. Adjustments are made in seconds, without tools or hardware. The grips and forearms are modular and come in 11 different laminate colors and two shapes: the slim traditional shape, and the more robust target style. As with all Boyds gunstocks, the At-One adjustable gunstock is constructed of top-grade laminated hardwood that is dried to exacting specifications to ensure rigidity and stability, and then sealed with a strong, beautiful finish that is chemical-resistant for long-lasting durability in all weather conditions.